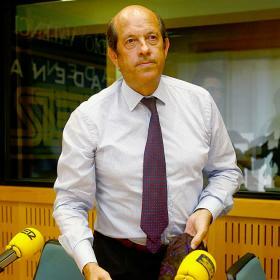 Valencia CF president gave a press conference and it was mostly about the financial situation, at least that's where the media took it, but it was interesting as he also said how there would be quality reinforcements in the summer and he guaranteed that the team would be a lot stronger next season. In fact he was asked about the finances and he claimed that the club is in good shape and that even though there was still a big debt problem, the club is not in a crisis and that said he felt he did a good job as the president of the club in the past 4 years. Obviously as he was pressured about his presidency and the summer elections, he said he would step down in someone came in with tons of cash, but that that wasn't going to happen and then he went on to say that there will be quality reinforcements coming in the summer.